Is your company going to be celebrating something special? Or maybe you’d just like to host a beautiful fireworks display to go with your show or presentation? If so, then you need a reliable firework production company to create memorable and stunning moments for you. Foti Fireworks has been around for years, catering to different businesses and small gatherings. We provide everything from an amazing pyrotechnical show to confetti streamers for birthday parties. And what we’ve noticed is that certain events really do need the added flare of a pyrotechnic display to make certain events stand out. The benefits of having a professional company to take care of the fireworks display and other pyro shows for you is practically endless. Not only are you getting qualified people who have years of expertise in that area, but you also get nothing but the best materials to make the display happen. Imagine if you were to set up the display yourself. Your first questions would probably be, “where do I get the fireworks from?”, “how much would I need to pay?”, and “how can I get them cheaper?” These are all practical questions. But take note that you won’t always have the answers to this, especially if you only have so much time to do your research. And not only that. You’re going to have concerns about safety, as well. 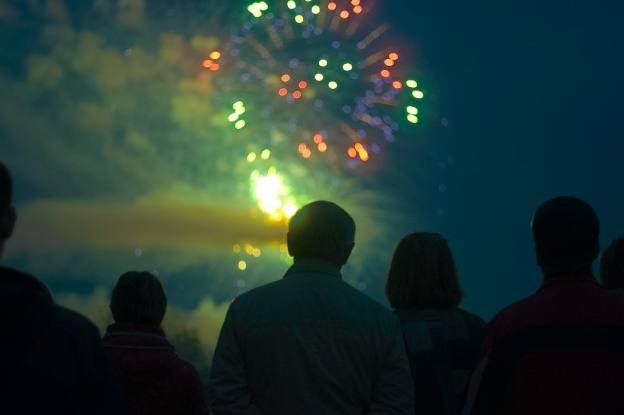 As beautiful as fireworks displays are, a lot of care and safety precautions are taken to make them happen. So it really pays to just get a good firework production company to handle everything for you. Remarkable pyro shows are the result of a good idea gone right. But for that to happen, you can’t just go with any company to do the job for you. Because you’ll only end up paying for sub-par services when you could have gotten better value for your money. How About Something as Simple as A Confetti Streamer? The good news is that fireworks companies can also provide you with smaller celebration materials such as a confetti streamer to spice up parties and events. Here at Foti Fireworks, we care about your needs and your budget. So, you can rest assured that whatever it is you’re looking for, we can provide it. Contact us today and let us know how we can help you make your events extra special! Just call +61 2 9756 6661. We’ll be waiting to hear your ideas and help you make them come true. This entry was posted in Other Events on April 25, 2018 by Foti Fireworks.